Angela “Angie” Jarrett, NRP, began her career in EMS as an EMT in 2001, joining Gold Cross in 2007. Throughout her career, Angie has demonstrated initiative and is respected as someone who mentors and leads by example in providing the best care to every patient, every day. 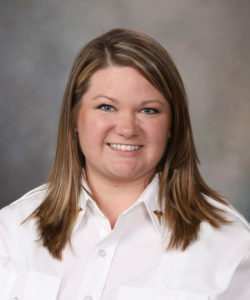 Gold Cross, the Paramedic service of Mayo Clinic in Rochester, Minnesota, is proud to be represented by Angie Jarrett, a Paramedic and Assistant Operations Supervisor, as a 2017 Star of Life.